The Dreamscape Project, under my artistic direction, is presenting a staged reading of “Songs From the Moon” on September 19, 2013. This is a collaborative performance piece I have created with composer Chris Renna and with performers Elizabeth Addison, Chien-Hwe Carol Hong, Laura Kessenich, and Wendy Lawson. Aryn Pryor and Taleen Shrikian are also part of the cast. It will take place on Thursday evening at 7PM in the Bonn Studio Theater of the Robsham Theater Arts Center at Boston College, 140 Commonwealth Ave., Chestnut Hill, Mass. 02467. After the reading, which lasts about on hour, there will be a Talkback with the performers and the audience. The performance is free and open to the public and is within easy walking distance from the Green Line (D). “Songs From the Moon’ introduces six women of different backgrounds who meet in the South End of Boston. They explore their lives and relationships with each other and the mysteriously absent Wanda through dance, movement, music, and poetry. Richly evocative, this performance piece uses descriptions of the city, nature, food, color, history, and space to give depth to the women’s emotions and struggles. As their connections grow, they create new forms and possibilities through an innovative compilation of word and action. I hope you are able to come and share your thoughts. For further information, call 617-469-4462. Hope you’re all well and still enjoying summer as am I.
at 5:30 PM on Monday, September 16 at the Boston Playwrights’ Theatre. Sorry if you’re already a member of the DG and this is a repeat announcement. Our special guest is playwright, Kirsten Greenidge, who recently won the 2013 PEN/Laura Pels International Foundation for Theater Award for a Playwright in Midcareer. This is open to everyone, you do NOT need to be a member of the Dramatists Guild to attend. 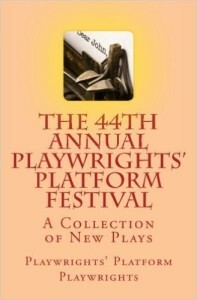 Please help get the word out and meet your fellow Boston-area playwrights. And in any event, let me know how you’re doing.